Of Mice and Men Event homeCustomer reviews HamiltonThe PromNetworkTo Kill a MockingbirdKiss Me KateHadestownOklahoma! 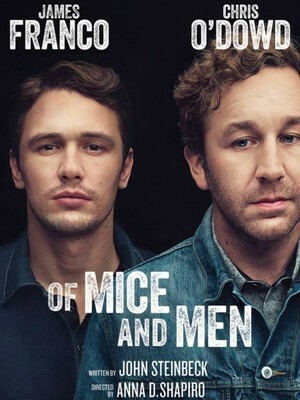 Why See Of Mice and Men? 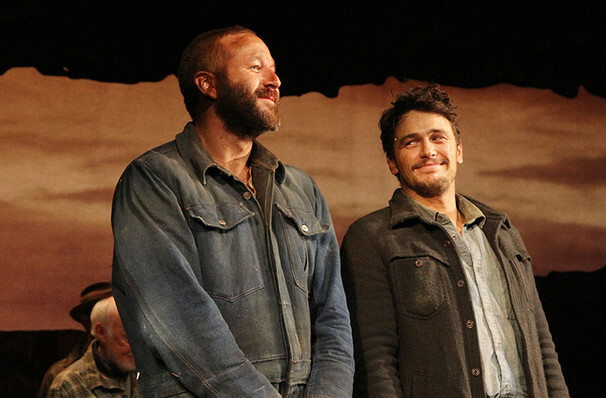 Starring James Franco, Chris O'Dowd and Leighton Meester, this new revival of Nobel Prize winner John Steinbeck's novel follows two migrant workers as they struggle to realize their own version of the American Dream during the Great Depression. 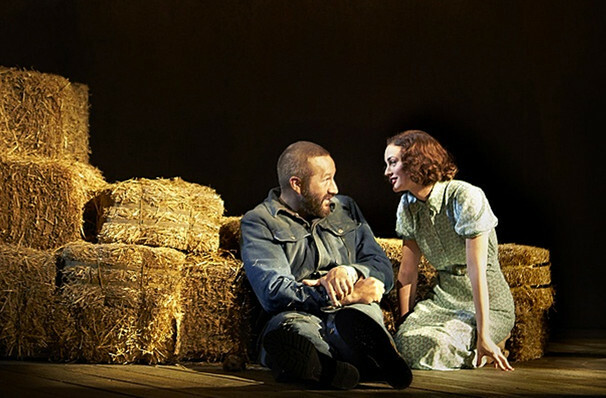 Of Mice and Men has been nominated for two Tony Awards for its cast, including Best Performance by an Actor in a Leading Role in a Play for Chris O'Dowd. Franco, O'Dowd and Meester star alongside Jim Parrack and Jim Norton. The production is playing a limited run, and is directed by Tony-winner Anna D. Shapiro (August: Osage County). 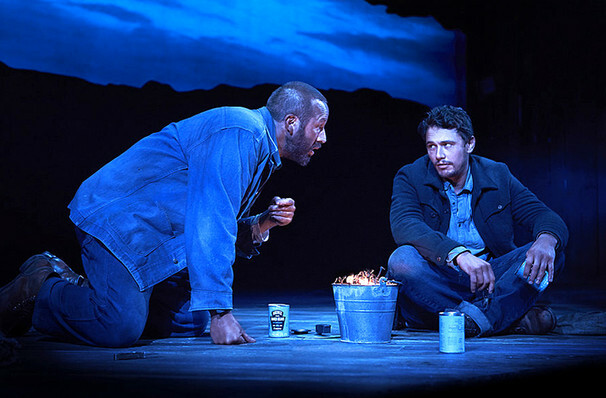 Emotional and touching in equal measure, Of Mice and Men follows two friends, George (Franco) and Lennie (O'Dowd), as they drift from job to job across the fields and farms of California during the hardship of 1920s America. The unlikely duo make ends meet by taking up work as laborers, dreaming of one day being able to own a piece of land to call their own. When Lennie - a gentle giant with a simple nature - runs into trouble on one of the farms though, George must choose between standing by his best friend or staying the course to fulfill his own American dream. Did you know? 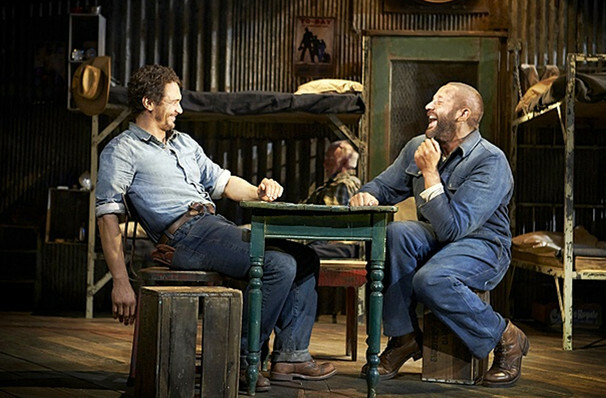 Of Mice and Men is based upon Steinbeck's own memories of growing up in rural America and his experiences of working on farmlands alongside migrant workers during the summers of his youth. Sound good to you? 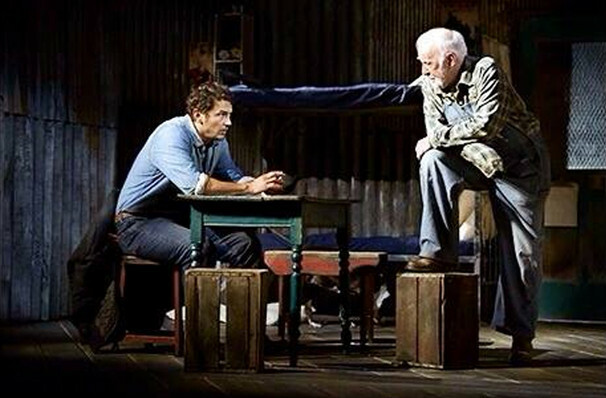 Share this page on social media and let your friends know about Of Mice and Men at Longacre Theater. Please note: The term Longacre Theater and/or Of Mice and Men as well as all associated graphics, logos, and/or other trademarks, tradenames or copyrights are the property of the Longacre Theater and/or Of Mice and Men and are used herein for factual descriptive purposes only. We are in no way associated with or authorized by the Longacre Theater and/or Of Mice and Men and neither that entity nor any of its affiliates have licensed or endorsed us to sell tickets, goods and or services in conjunction with their events.